Grocery and convenience stores will be allowed to sell full-strength beer starting at 8 a.m. on Jan. 1. A Safeway representative said they plan to offer a wide variety of beer, including features from local breweries. It’s looking like last call for 3.2 beer thanks to new state legislation. Starting at 8 a.m. Jan. 1, Colorado grocery and convenience stores will be allowed to sell full-strength beer. Currently, grocery and convenience stores are limited to selling beer that is 3.2 percent alcohol by weight or less, but new legislation allows stores that already have a 3.2 license to begin selling full-strength beer in the new year. Kris Staaf, a Safeway spokesperson, said the company has been gearing up for the change for over a year and is hoping to sell down their 3.2 beer selection to help make room for the full-strength brews. “This is a product that our customers have been asking for for a long time, especially in markets where we get a lot of tourists in our stores,” Staaf said. Staaf said Safeway plans to sell a variety of beers, including local breweries, and will adjust the product according to customer demands. A representative for City Market had not yet returned a request for comment on whether the Granby location will be offering full-strength beer. 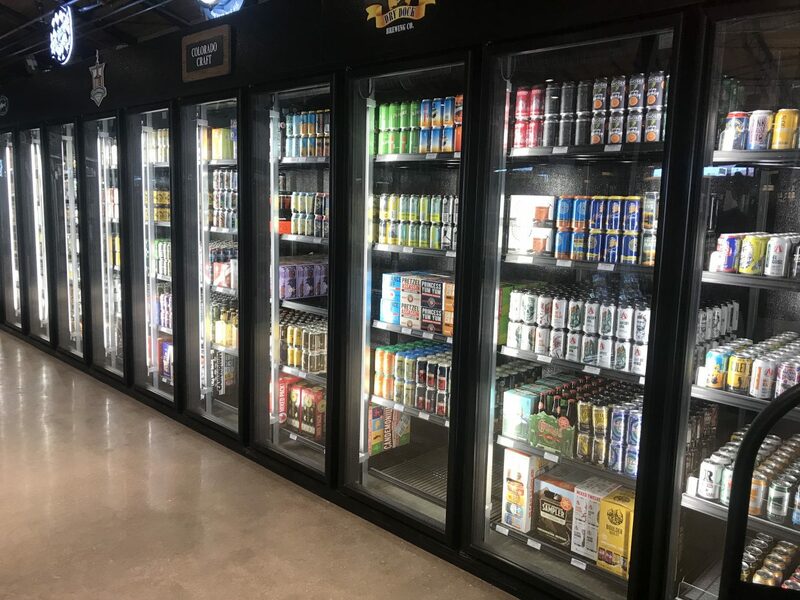 Several convenience stores in Grand County will also be offering full-strength beer, including the 7-Eleven in Granby, the Kum and Go locations in Granby and Kremmling and the Stop & Save in Winter Park. Crystal Buckles, manager at the Stop & Save in Winter Park, said the store will likely continue to carry the same brands they did with 3.2 beer, but sell the full-strength versions, such as Coors and Heineken. However, the new legislation does have its limits. The law doesn’t currently allow grocery or convenience stores to sell wine or liquor. And while stores that already have a 3.2 license will have their licenses automatically switched, stores that don’t, such as Fireside Market and Eatery in Winter Park, will be required to be at least 500 feet from existing liquor stores or schools in order to be eligible for a beer license. Other stores in the county that won’t be offering beer in the new year include the Shell convenience stores in Fraser and Hot Sulphur Springs and the Mountain Food Market in Grand Lake. Overall, around 1,600 stores across the state will be allowed to carry full-strength beer in the coming year, according to the Denver Post. Staaf highlighted how the new rules just make more sense for consumers. “I think our customers will respond enthusiastically because it is a product that they’ve been asking for and it’s great for us to be able to offer it and then the convenience of one-stop shopping as well,” she said.